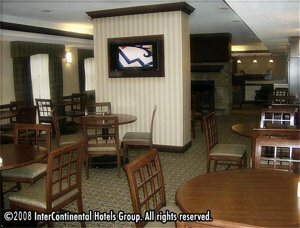 Welcome to the Staybridge Suites, Columbia, Missouri hotel, ideally located at intersection of I-70 and Highway 63. Conveniently located within 10 minutes of all major attractions in Columbia. Columbia is home to the University of Missouri Tigers. Our spacious studio and one bedroom suites offer perfect accommodations for professionals, corporate re locations, individuals and families seeking comfort in a friendly environment. All suites have been carefully designed to provide for every convenience, from completely equipped kitchens with full size refrigerators to wireless Internet connections. As you'll soon discover at the Staybridge Suites, Columbia we are all about comfort! We are pleased to offer a full hot breakfast and evening Sundowner Social. You will enjoy all the conveniences of home with our business center, library, fitness center, laundry, and a Bridgemart convenience store. For your recreational pleasure we have an indoor pool, whirlpool and outdoor Barbecue pavilion. Come "get comfortable" at Staybridge! A pet friendly hotel. This hotel is committed to providing accessible facilities under the American Disabilities Act. If your accessibility needs are not met, please contact the Hotel Manager on Duty. Should you require additional information regarding accessible facilities for guests with disabilities, please call 1-800-Holiday (U.S. and Canada) or contact the hotel directly. For the hearing impaired, TDD service is available at 1-800-238-5544 within the U.S. and Canada.